Sign up and receive Property Email Alerts of Vacant Land for sale in Val De Vie Estate, Paarl. A spectacular plot in size and location. This plot is one of the few last vacant plots that came available in the Val de Vie I development. Counoise St is an established leafy cul-de-sac, where all the homes border open green spaces, adding to the country-feel of the estate and provide a stronger sense of privacy. 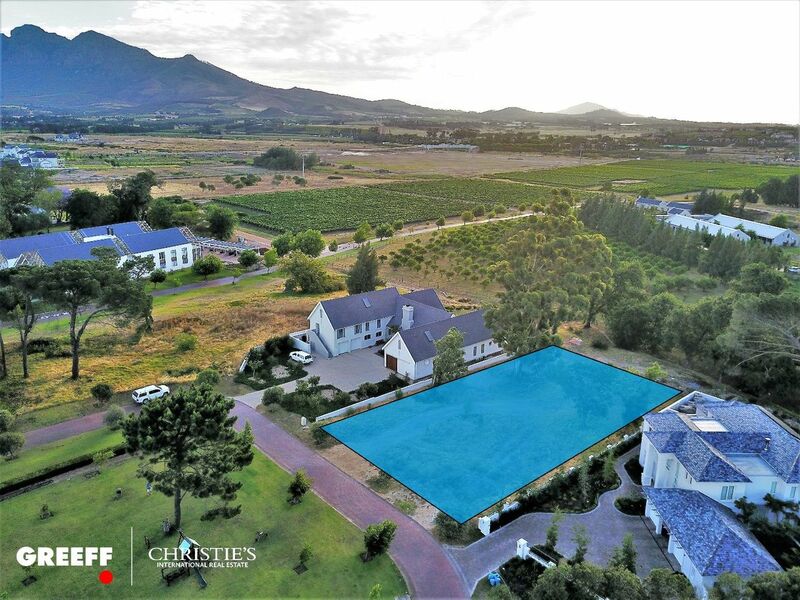 With the incredible central location, you're a short walk from L'Huguenot Wine Cellar, Polo Pavilion, Polo Village Offices, and Kinder Ark Nursery School. Few meters from your front door, kids can play carefree in the park, now this is the ultimate in comfortable family living. The lifestyle Val de Vie offers its residents is unsurpassed in every possible way. The unrivalled natural beauty, peace, tranquility, world-class amenities and security, makes this estate undoubtedly the ultimate lifestyle experience. There is no better place to call home, start imagining yourself here. *Approved plans available on request, a breathtaking creation! Sign-up and receive Property Email Alerts of Vacant Land for sale in Val De Vie Estate, Paarl.